Welcome to Smooth Move People. We have been providing moving services, packing services and loading and unloading services to customers in Portland, OR, Vancouver, WA and the surrounding areas since 1989. You can count on us with 22 years experience as a moving company to handle your local or long distance move anywhere in the continental United States. Our family owned and operated moving company offers the lowest prices compared with other local moving companies. 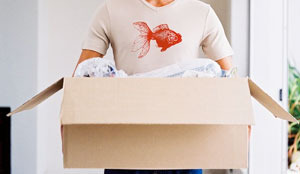 Each mover on our staff is highly trained and experienced. Our movers take care in packing, moving and unpacking your belongings and pay attention to detail in order to protect your possessions, so everything arrives at your destination in the same condition it was packed. By sharing your experience with Smooth Move People , it will help other customers to make a right choice of using this company. Smooth Move People has submitted for evaluation and got selected over 3000 companies nationwide. We sincerely congratulate Smooth Move People for their wonderful performance.